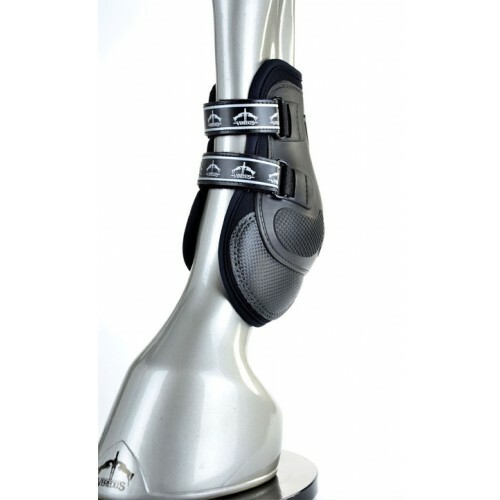 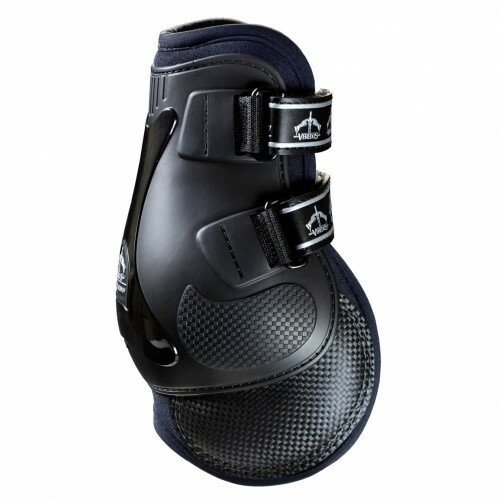 Functional fetlock boot that helps improve hind end performance with added pastern coverage. 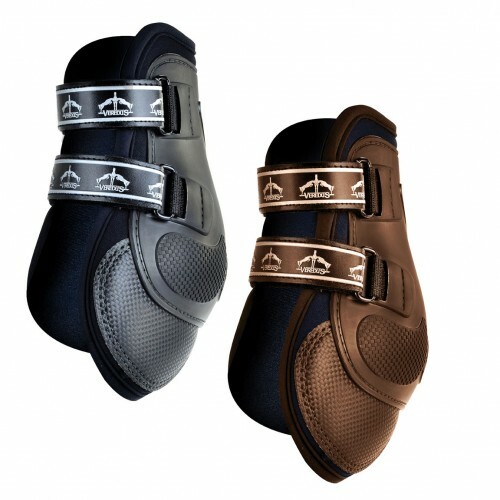 • Softflex™ Bi-TECH™ Synthetic- Highly durable synthetic material that is waterproof, tear, rip and puncture resistant. 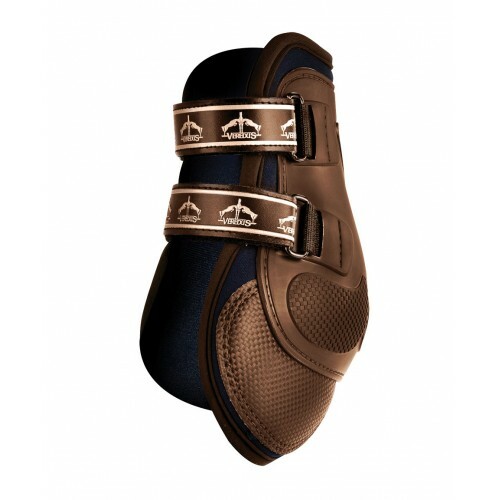 • Lycra® Lined Neoprene: Comfort padding with shock absorption• AquaShell™-Provides waterproof protection and will not absorb moisture. 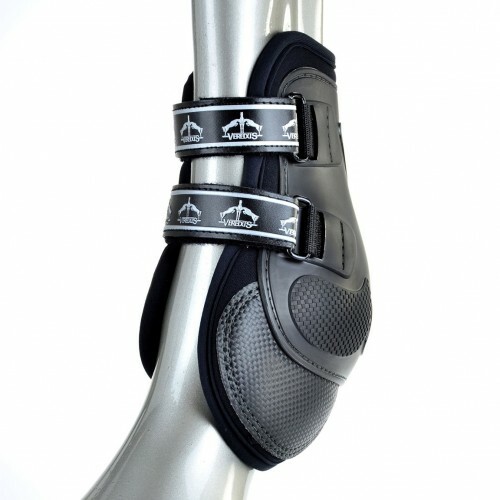 • Replaceable Velcro® Straps- Tested and guaranteed for 5000 hooking/unhooking cycles.